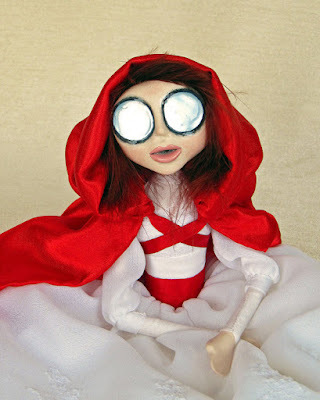 Natasha Morgan's art dolls always have this big saucer-shaped freaky shiny eyes. This is her take on Red Riding Hood. 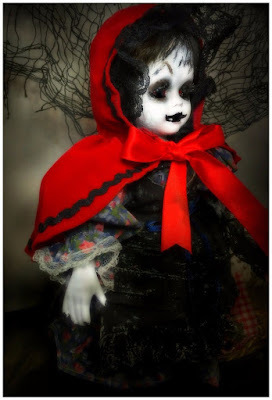 Here's a paper clay Little Red Riding Hood doll by Villa Oscura in Madrid, Spain. 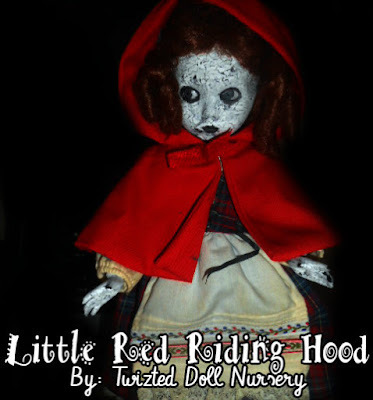 This Red Riding Hood doll is by Twizted Dolls in Virginia. 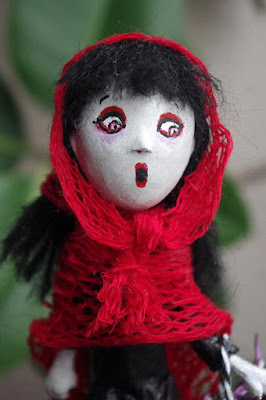 This Little Red Riding Hood doll comes with her own tiny poison bottles. 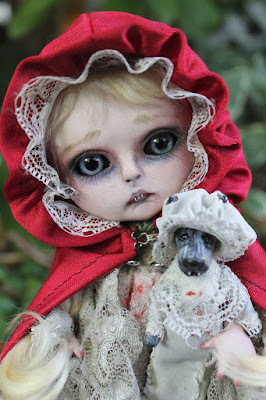 This stunningly beautiful Red Riding Hood BJD doll is part of Anne Marie Gibbons' "Lil' Poe" collection.